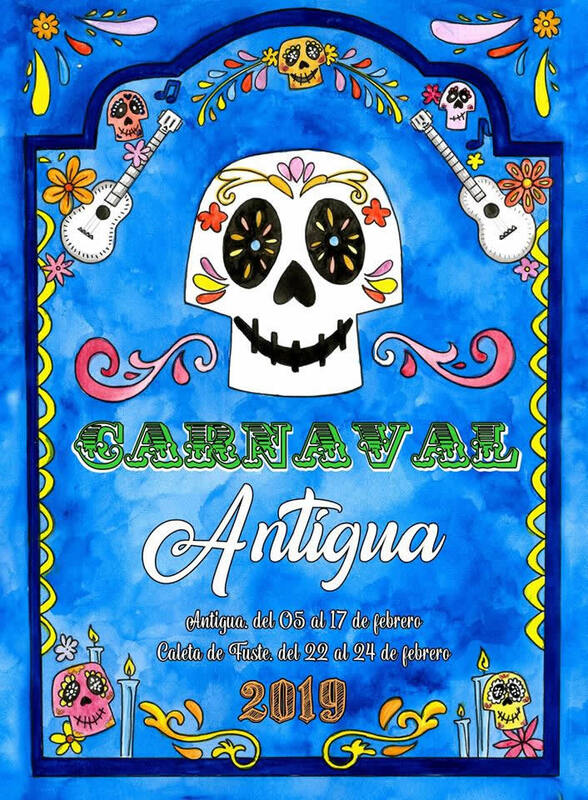 The municipality of Antigua organizes each year 2 carnivals, under the same theme: the first one is in Antigua and the second one in the popular tourist resort of Caleta de Fuste. In the recent years the authorities in many municipalities in the Canary Islands (not just in Fuerteventura), have chosen to integrate the local community in choosing the theme of the event, so they sometimes organize a vote in order to select the allegory for the carnival. In 2019 the Department for Celebrations in Antigua (Fuerteventura) has organized a vote throughout the municipality in order to choose the theme for next year's carnival. The chosen theme for the 2019 carnival is COCO - inspired by the popular animated movie. The reason behind the vote was to bring the Carnival of Antigua 2019 to all the neighbors of the municipality, making them participants in these parties of disguise, mask and imagination, says Councilman Juan Cabrera, and nothing better than having six allegories, all of them offering numerous possibilities of costumes, scenarios and shows.